Former WWE Superstar and NXT Season 2 winner Low-Ki recently talked with Wrestling Inc. He stated that the promotion is attracting money-hungry, inexperienced wrestlers. In case you didn't know. . .
Low-Ki was one of the most popular X-division Superstars in TNA's heyday. He went on to sign a contract with WWE and ended up winning the second season of NXT. He spent some time on the blue brand but failed to make an impact. His last match in WWE was against Drew McIntyre on SmackDown in December 2010, following which he was released from his contract. Low-Ki is currently signed with MLW, having won the promotion's World title on one occasion. Low Ki recently talked with Nick Hausman from Wrestling Inc., going into the details of his decision to choose MLW over other promotions. 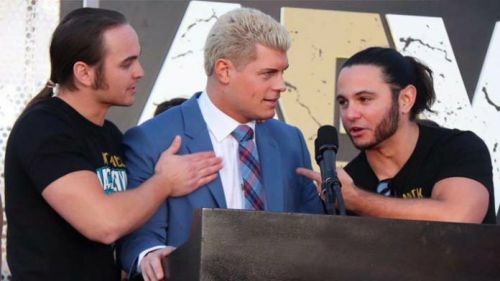 He also stated that although AEW is a good platform for wrestlers to showcase their in-ring skills, there's a problem with the promotion. He said that the promotion has major financial backing, and is attracting everyone who is out to make some quick cash, even if they aren't necessarily talented. "To me it's an opportunity that hasn't been available for a lot of people," said Low Ki. "The only problem is: now you're finding out who the whores are.... Everyone's going after money. A lot of these guys don't have any experience to begin with, so they wouldn't normally find the availability of this level of financing. So, of course they are going to go there." Low Ki seems to be doing well in MLW at the moment. One wonders where he could have been at this point, had WWE used him properly on the main roster.